The Omega Tarot Conference will be held from July 29-31 in gorgeous Rhinebeck, New York. This year’s topic is Tarot: Fate & Free Will. Rachel Pollack and Mary K. Greer host the event, and this year they’ve invited three especially talented Tarot teachers to join them. Toronto’s own, James Wells, author of Tarot for Manifestation, will be there. As will the founder of Tarot Professionals, Marcus Katz. To fill out the roster will be Ellen Lorenzi-Prince, creator of Tarot of the Crone and Tarot Paper Dolls. From the beauty of the Hudson Valley, to the brilliance of the company and the magic of the cards, this is going to be an amazing retreat. Get there if you can. 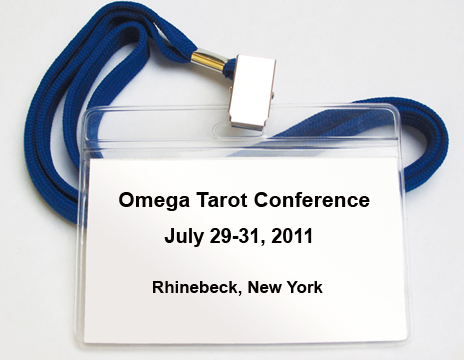 You are currently reading Omega Tarot Conference – July 29-31 at The Tarot Room.